At Kingsview Optical over the years we have experience of developing production optical assembly lines to take prototype design into large scale production. This involves developing methods, procedures and inspection plans to ensure quality standards are met but also the parts are made in efficient time and cost. The largest production run we have done was for the defence industry with 22,000 units manufactured here at our site in Rye, East Sussex. Work for the Defence industry has to be meticulous in detail and reliability due to the nature of the work and shows we have the expertise to get this done to the highest standards. As optical systems become ever more interdependent with electronics we also have experience of developing production for electro-optical assemblies. At our site we have 3 positive pressure clean rooms that are used as optical assembly areas and vacuum coating rooms. The first clean room is our largest and was built in 2003 this has plenty of space when optical assembly needs the clean room environment. Then in 2012 we built a higher standard clean room for assembly with HEPA 14 filters installed in the ceiling when the best possible results are needed assembling sealed optical assembly systems. 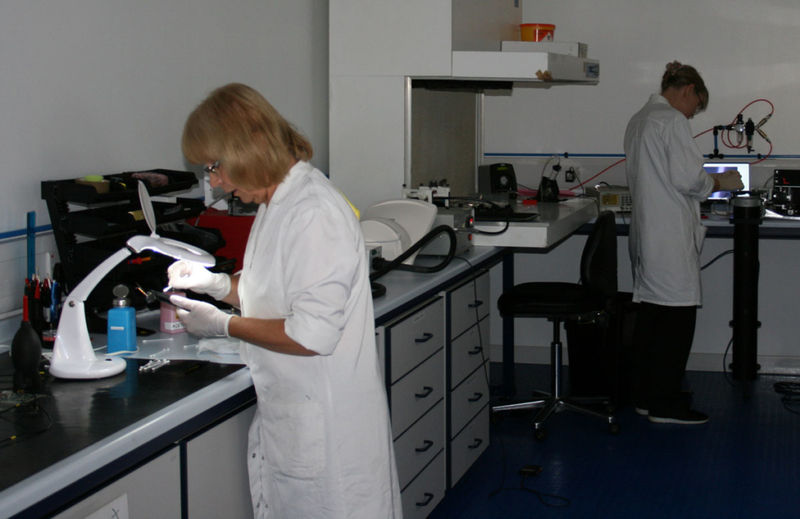 The 3rd clean room is our specifically developed dark room that is used when we are manufacturing reticules/graticules for sighting systems. At Kingsview we have the capability with our vacuum coatings to manufacture any reticule through photolithography or a lift off process. What we would need from you is a CAD model or PDF of your pattern and we can usually turn them round in 3-4 weeks dependant on workload. Again this is all done in house and we would be more than happy for you to come down and meet us so we could show you around.